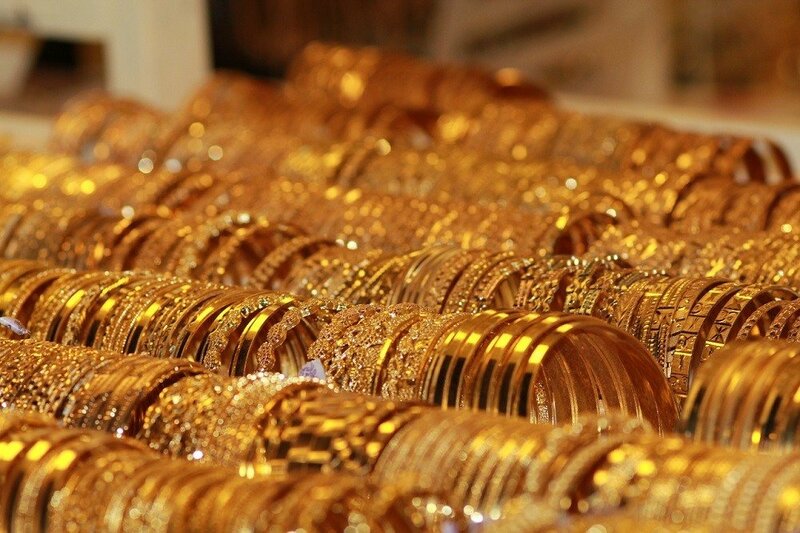 Gold jewelry sale is expected to rise sharply on the occasion of Akshaya Tritiya this year after an appreciating rupee prompted many to book a piece for delivery on the due date. The sale of gold jewelry is expected to grow on Akshaya Tritiya, one of the most favorable occasions to purchase precious gold. Matt Chamberlain was named London Metal Exchange (LME) chief executive, with a mandate from its owner the Hong Kong bourse to reform the world’s largest and oldest metals market. Chamberlain, 35, had been acting CEO since January when a combination of falling trading volumes and a perceived lack of strategy at the 140-year-old exchange led to the resignation of Garry Jones. A hike in trading fees two years ago drove many LME users to the over-the-counter markets, precipitating a 7.7 per cent fall in trading volumes last year and 4.3 per cent the year before and forcing the exchange to consider its future. Dwindling volumes, breaking bad, have undermined profits at HKEx, which is trying to recoup the $US2.2 billion it paid for the LME in 2012. This metal has one of the highest melting points and was first discovered in South America? Large speculators and traders increased their net positions in the gold futures markets last week for a fifth consecutive week and to the highest level in over five months, according to the latest Commitment of Traders (COT) data released by the Commodity Futures Trading Commission (CFTC) on Friday. The non-commercial futures contracts of COMEX gold futures, traded by large speculators and hedge funds, totaled a net position of 195,768 contracts in the data reported through April 18th. This was a weekly gain of 23,102 contracts from the previous week which had a total of 172,666 net contracts. Speculative positions in gold have risen by over 89,000 contracts in just the past five weeks and are now at their best level since November 8th when net positions totaled 217,238 contracts. Hedge funds increased their wagers on a gold rally to the highest since November, betting that this year’s 11 percent advance has more to go. Investors are also loading up on the metal through exchange-traded products, pouring $487 million into SPDR Gold Shares on Wednesday. That was the biggest daily inflow into the world’s top bullion ETF in seven months. Gold is shining bright as the dollar trades near the lowest since November, lifting the appeal of alternative assets. At the same time, escalating tensions between the U.S. and North Korea have boosted demand for a haven, while delays in implementation for President Donald Trump’s campaign promises to cut taxes and pursue a pro-growth agenda are clouding the outlook for earnings. Akshaya Tritiya is on the coming Friday; it is considered one of the most auspicious occasions to buy a precious metal, primarily gold. In earlier years, people bought coins; the trend has shifted to a token purchase of light jewelry, with the high prices. This year, bookings are skewed towards gold jewelry, in a price band of Rs 30,000-50,000 apiece. The price of copper traded in London declined almost nine percent from a February high to a low last week. Goldman Sachs said in a recent note the selloff in metals was driven by uncertainty over the global economic outlook, with factors such as stalled policy stimulus in the U.S., tightening in China and geopolitical uncertainty weighing on sentiment. However, Goldman remains “constructive” on the outlook for copper fundamentals, which should get a boost from China’s property sector and a sharp slowdown in supply. It also noted the correlation between U.S. 10-year Treasury yields and copper. Benchmark yields climbed six basis points on Monday following the first round of the French election, rising for a fourth straight day. The first round of the French presidential elections that were held Sunday showed the nationalist candidate Marine Le Pen garnering less support than expected and dealing the so-called Euro-skeptics another blow. Le Pen will be in the run-off election on May 7, but so will the centrist candidate, Emmanuel Macron. Macron is projected by early polls to be the winner of the May 7 vote. European market watchers had been very nervous as the French elections approached and polls showed tight races. A few weeks ago, the Dutch elections showed the nationalist candidate go down in defeat. Safe-haven assets gold, U.S. Treasuries and U.S. dollar index prices all have dropped sharply Monday, while the world stock markets are mostly in a rally mode. The Euro currency pushed to a five-month high on the French election results. The Industry Council for Tangible Assets (ICTA) is a 501(c)(6) nonprofit association dedicated to the rare coins, paper money, and precious metals industry for over 30 years. ICTA exists to promote and safeguard the interests of its members. Platinum was first discovered in South America by the pre-Columbian tribes as a naturally occurring alluvial deposit. It was largely overlooked, although these tribes did find uses for the silvery looking metal in some areas, as artifacts created from a white gold and platinum alloy have been found in the region of modern-day Esmeraldas, Ecuador. To understand why the precious metal was not more widely used, we can look to the writings of the Italian, Julius Caesar Scaliger, who described a then unknown noble metal which no fire had been able to liquefy. The unknown noble metal he referred to was Platinum.